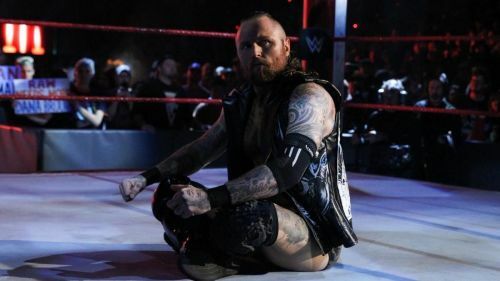 This week's edition of WWE Monday Night RAW (18 February 2019) saw a lot of contrasting moments. Right from witnessing the beginning of an NXT invasion of sorts, to Ronda Rousey standing dominant at the end of the show, last night's episode had it all. Oddly, despite the change in flow for this week's Monday Night RAW, the show felt tedious to watch at times. Even though I appreciate the fact that WWE tried to mix it up for three hours, something felt amiss during the show. Let us know what you thought about the episode in the comments below. Let us take a look at some interesting observations from last night's episode of Monday Night RAW. By now, it should come off as no surprise that WWE has confirmed that Ambrose will not be returning to WWE when his contract is up shortly after WrestleMania. Also, Dean's booking in the recent few weeks has been questionable, to say the least. From almost having one-on-one physical altercations with Nia Jax to losing exhibition matches in rapid succession, The Lunatic Fringe sticks out like a sore thumb every week. Last night, not only did he lose against Drew McIntyre in a singles match (that too seemed as if Ambrose had given up entirely) but he also had a small backstage bit with Seth Rollins where Ambrose derived some elements from his 'absent-minded lunatic' persona by completely forgetting that he and Rollins had been engaged in a war for months. What seems the most obvious situation here is that Dean Ambrose is purposely being embarrassed on live TV during his final few months left with the company. But the explanation I am personally leaning towards is that all of this is building up to something huge. Something seems a bit unusual here, and the best case scenario involves Dean Ambrose being set up for something promising in the near future. What do you think?